UCLG explains why all 17 Sustainable Development Goals of the 2030 Agenda matter to local governments in a new guide for local leaders. The 2030 Agenda for Sustainable Development is a cause for celebration for local and regional governments the world over. Even before the confirmation of the final 17 SDGs, the inclusive nature of the Post-2015 process itself represented a major victory for all stakeholders. UCLG and the Global Taskforce of Local and Regional Governments actively participated in the consultations on the Agenda, successfully advocating for the inclusion of SDG11 onsustainable cities and human settlements, and pushing for all goals to take into account localchallenges and opportunities. With the 2030 Agenda due to come into effect in January 2016, it is vital for local and regionalgovernments to have access to information on why the SDGs matter to them. 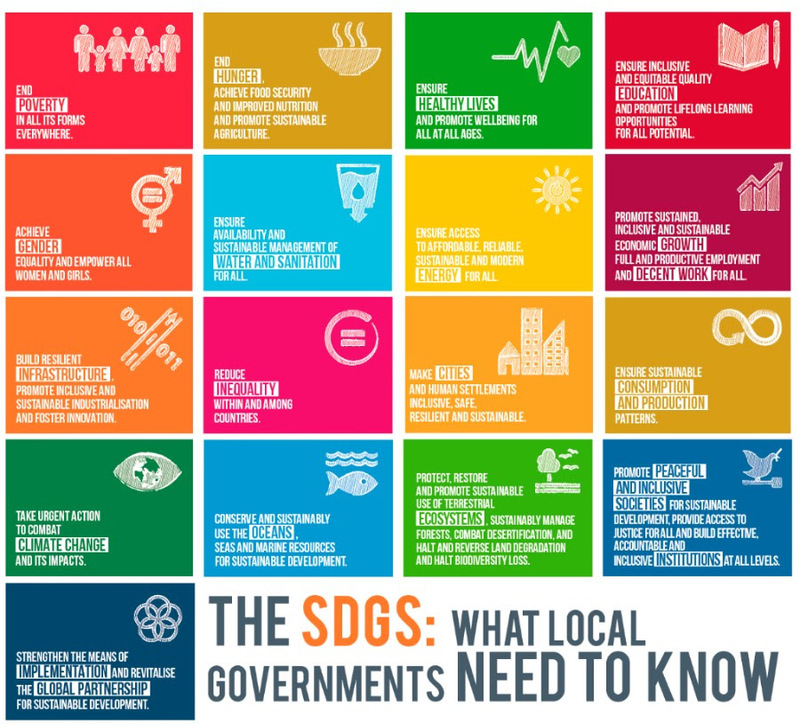 The publication “The Sustainable Development Goals: What Local Governments Need toKnow” explains how each of the 17 SDGs relates to the daily work of local and regional governments. It also lists the most relevant targets of each goal to local governments and highlights the relationship between the goals and other international agendas, such as climate change and Habitat III.